Dorney Lake made for a gorgeous place to spend the Bank Holiday, with both Glen and I taking part in events over the weekend. Glen had won entry to a series of races with Human Race events, and Sunday saw him take part in his first open-water sprint triathlon. I’m pleased to say he absolutely smashed it- finishing in 1:16:30 which placed him 10th out of 106 people, and 3rd in his age category! Pretty amazing for a first attempt at a triathlon! I’ve never actually spectated at a triathlon, so it made a change to be watching rather than doing. I loved watching my speedy husband fly around the course, catching a glimpse of him on the swim, bike and run. Glen’s parents joined us for the weekend, so it was a great opportunity for them to learn a little more about triathlon and why we are so passionate about this sport. We stayed overnight at the gorgeous Oakley Court hotel on the banks of the River Thames. The hotel was a lot more grand than we were expecting, being a historical building used as the setting in many famous films. We spent the evening exploring the grounds and relaxing on the terrace. They have a great gym and swimming pool on-site, but we felt we had enough exercise to do over the weekend! Back to Dorney Lake on Bank Holiday Monday, for my turn to race. 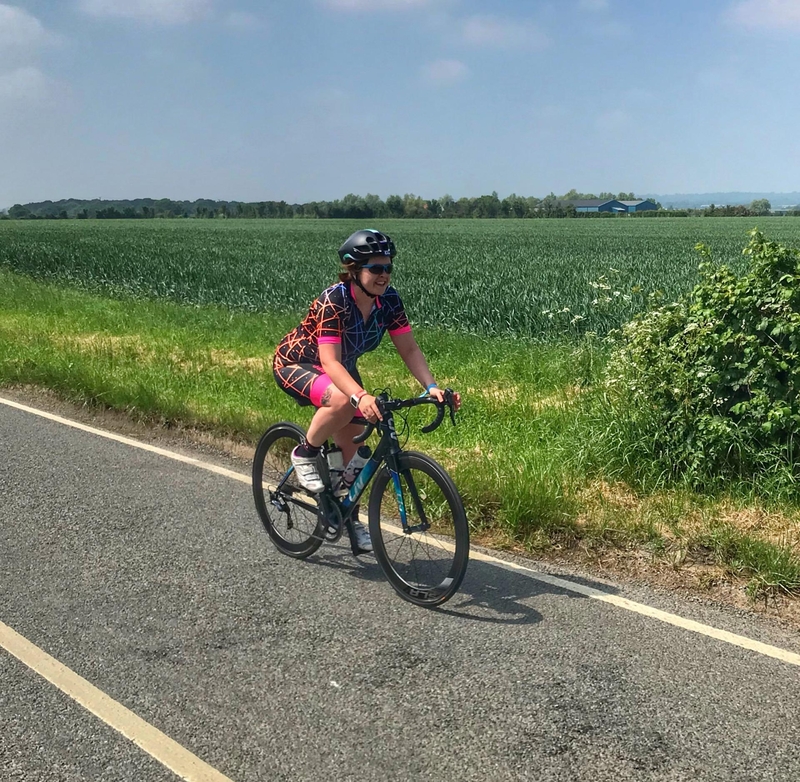 The Eton Swim had several distances on offer, I had opted for the 1500m to use as a training session for my upcoming Olympic distance triathlons. I wanted to get an idea of how long it would take me to swim this distance in open-water, plus there was a nice medal available. Always a bonus to get a medal for a training session! When we arrived at the lake, it was buzzing with people, much busier than the previous day. The 10km swimmers were well underway, some without wetsuits! I couldn’t fathom swimming this type of distance, especially in just a swimsuit! As with most Human Race events, everything was well organised and efficient. I registered, collected my swimming cap (with timing chip attached) and slipped on my wetsuit. Swimming caps are not designed for people with long/thick hair like myself, it felt like incredibly tight, giving me an instant headache. I don’t think I could do a long-distance swim, just because I wouldn’t want to wear a swimming hat for that long! My wave was called over and we entered the lake to acclimatize and listen to the briefing. The water temperature was advertised as 18 degrees- I think they may have been over-exaggerating slightly as it felt pretty chilly to me! There were just over 200 people in my swim wave, in our green hats we looked like a sea of peas! The klaxon sounded and we were off! The water churned as rubber-clad bodies fought for space, I took a few kicks and knocks but I know to expect that in an open-water swim. Some people panic in a mass swim start, but I just try to relax and concentrate on getting into a rhythm. I take advantage and draft off of the faster swimmers, being pulled along in their slipstream. The pack soon spread out as we made our way around two rectangular 750m loops marked with buoys. At the half-way point, I glanced at my Garmin and saw 14:54, I was pleased to realise I could complete the swim in around half an hour. I thought about my technique and tried to really focus on my catch and pull, with high elbows and exhaling fully in the water. The lake is lovely and clear, with plenty of buoys making it easy to stay on course. I sighted every 6-8 stokes keeping the giant blue finishing arch in my eyeline. For the last 100m, I swam beside another woman racing her to the finish. We climbed onto the ramp together and collected our medals. I usually do an open-water swim as part of a triathlon, so it seemed strange to finish without rushing towards my bike in the transition area! I soon received a text congratulating me on finishing in 31:42. I was very pleased with that result, as my last timed 1500m was 37 minutes, so I can see a big improvement in my swimming. I was relieved to take off the swimming hat, and of course get a Diet Coke to kill any germs from the water! The Eton Swim was a little pricey at £36.50 for 1500m, but I really enjoyed the event and it was a good confidence boost for Hyde Park this weekend. 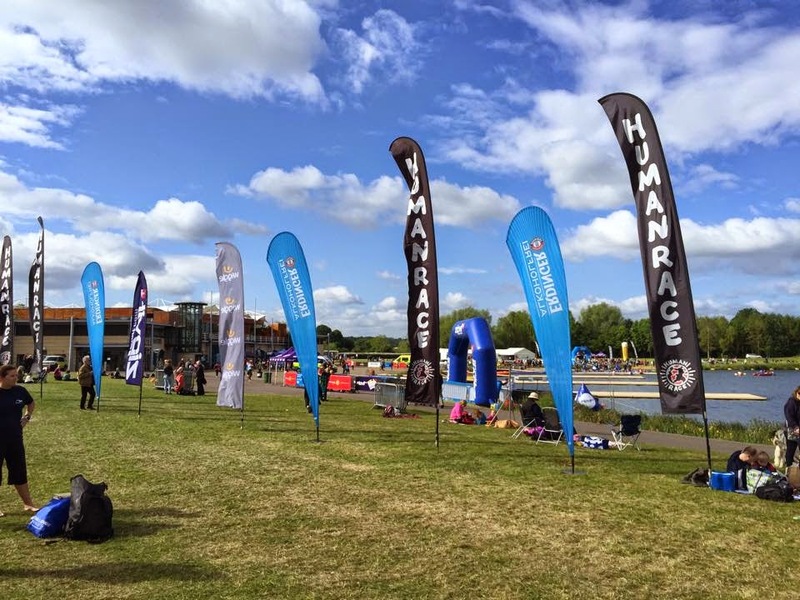 Glen is back at Eton Dorney for the Steelman Triathlon in July, and we both taking part in the Diamond Triathlon in September- looking forward to racing again at such a great venue. Have you ever raced at Eton Dorney? Did you race this weekend?